The Washington manual of echocardiography, 2nd ed. Clinical cardiac pacing, defibrillation and resynchronization therapy, 5th ed. Auteur : Tintoiu I. C.
Moss & Adam's Heart disease in infants, children and adolescents, 9th ed. Précis de cardiologie - Cardiomédik, 3e éd. Textbook of interventional cardiology, 7th ed. The Complete Guide to ECGs, 4th Ed. Auteur : O'Keefe J. H.
Editeur : JONES AND BARTLETT PUBLI. Anesthesia for Congenital Heart Disease, 3rd Ed. Josephson's clinical cardiac electrophysiology, 5th ed. The cardiac catheterization handbook, 6th ed. 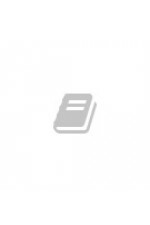 Braunwald's heart disease review and assessment, 10th ed. 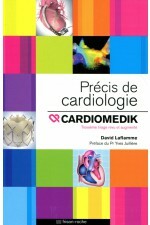 Auteur : Otto C. M.
Recommandations et prescriptions en cardiologie, 6e éd. Rich's vascular trauma, 3rd ed. ASE's comprehensive echocardiography, 2nd ed.